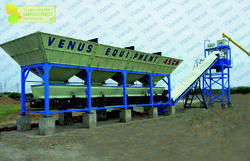 Our variety of Concrete Mini Batching Machineare manufactured by using cutting edge technology. These mini mobile batching machines feature corrosion resistance, easy operation, minimum maintenance and offer long lasting functionality. We fabricate mini mobile batching machines in standard as well as customized specifications. Hydraulics tank capacity: 50 Ltrs. We are engaged in offering a wide range of Industrial Batching Machine. 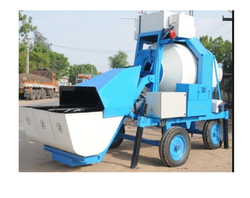 Concrete Mixer with Automatic Weigh Batching System, Auto Water Cut off System available. Tyre: Four Pneumatic Wheel & Axle. Model/Type: 3 Bin / 2 Bin / As per customer requirement. We design and manufacture precision engineered and the world renewed technology Batching Systems for Alumina. Our fully automatic digital Multi ingredient automatic batching system (DMIABS) is featured with industry unmatchable accuracy, reliability, repeatability and quality. Open Width Stenter open stenter is used to give stitching and batching to the cloth, once it reaches the finishing stage. This textile machine is used with the purpose of giving a fine finishing to the cloth. Flat bottom plough discharge Batch Centrifugal Machines provided are fully automatic with DC or AC motors with Suitable Drives & PLC based automatic controls from VRL.